A capstone research project is one of the most important parts in your academic career as this gives you the advantage in order to showcase your expertise. It is important that you are able to provide innovative and highly creative nursing capstone project ideas. A well-written capstone project will not only give you academic leverage but this is essential for your success in your chosen field. 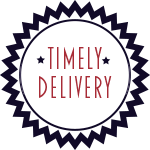 Take your time if you want to come up with original nursing capstone project ideas; the quality of your project will basically depend on the excellence of your topic. 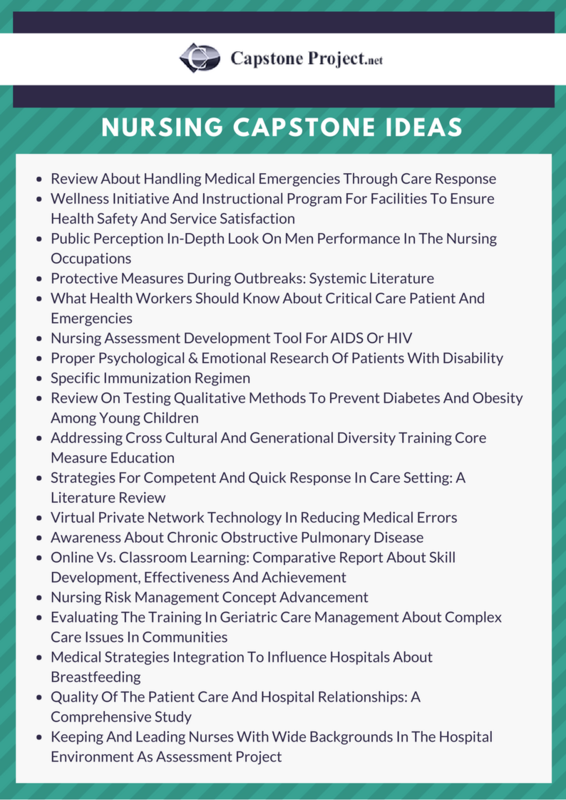 How Do You Select the Best Nursing Capstone Project Ideas? Coming up with useable nursing senior project ideas is not always simple. But getting it wrong can have a very significant impact on your research. It is always vital that you understand that you have to select nursing project ideas that are feasible as well as being of interest to your field and yourself. Finding those project ideas, however, can for some be a task that will take many hours of work. Continue with research you have already started: some students will be in the happy position of being able to continue with work that they have already started earlier in their education. Review class work: often you will be able to find suitable projects by working back through everything that you have covered within your class. Problems that you have encountered during work experience: these often provide you with the best real life projects on which you can spend your time. Brainstorm with others: working with your classmates and tutors can often uncover many potential projects for you to study. Look at lists: there are many lists that you can find online and even in the departmental library. Even if the specific project is not right for you it may give you additional ideas for your own. 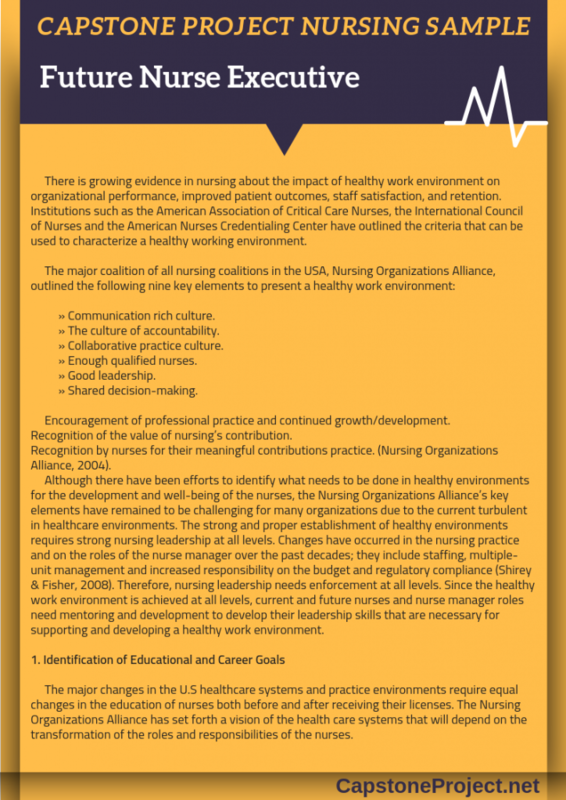 How Should Your Nursing Capstone Paper Be Outlined? The title page: this will contain the program information and the title of your specific project. Abstract page: this is a brief summary of your entire project that should cover aspects of every section. Usually, it is no more than 150 words or so and the reader should be able to understand just what your paper is about from reading it. Introduction: the introductory section of your capstone will introduce your project. It should introduce the problem that you are seeking to solve right from the start and provide the reader with some background and reasons for tackling the issue. Problem description: this will provide the reader with a more in depth description of the problem that you will seek to solve through your research. It should clearly state the goals of the project and the questions that you will seek to answer. Review of literature: this should be a synthesis of the available works that are relevant to the area of your research. It should start with a broad view and focus in around your specific area using relevant and reliable sources of information. Project description: this is what you have actually done, you should describe your methodology so that anyone that is interested can replicate anything that you have undertaken. Results: these are the findings of your research. Discussion and conclusions: this should review your findings and relate them back to your original questions and aims. 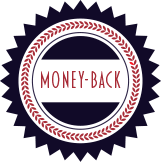 References: you are required to give credit to those sources of information you have used and given citations for within your work. 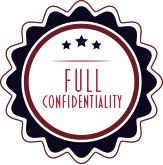 Appendices: this should contain any relevant information that is not included within the main text such as tables of data or questionnaires. If you are having difficulty when it comes to creating good nursing capstone project ideas, make sure that you avail our professional DNP capstone project examples. We have the best writing assistance online in which can generate you new and original nursing capstone project ideas. You will be working with our professionals when it comes to creating unique DNP capstone project ideas that will surely impress your audience. Get the perfect nursing capstone project ideas and submit an effective and grade winning paper with the support of our professional and reliable experts!